This statistic shows the world's leading 10 producers of fresh vegetables in 2017. 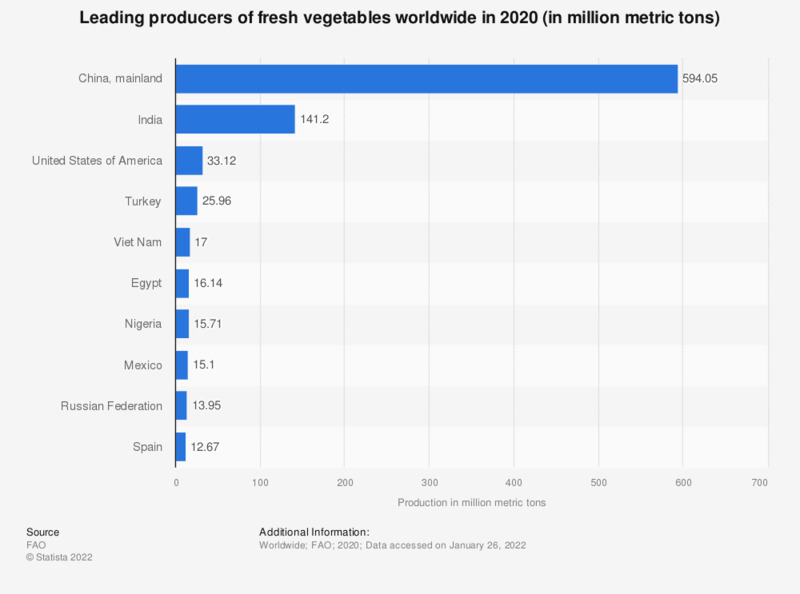 In that year, China was the leading producer with a production volume of nearly 554 million metric tons, followed by India with approximately 127 million metric tons of fresh vegetables. Maize was the leading vegetable based on global production volume in that year. * FAO data based on imputation methodology.